This still looks like it might have been taken from a scene that was excised from the film. I know there are some scenes director Pohlad has referenced from the SMiLE era that were cut (probably due to running time). I continue to marvel at how "right" this all looks. I love this film so much, last night was my ninth time seeing it. I do hope that for the home video release there will be many extras included; commentaries by Bill Pohlad and Oren Moverman plus some deleted scenes are the ideal and anything other than that would be gravy. Also another tidbit I saw last night while roaming around Twitter. I don't claim to know what this means...I'm sure Atticus Ross has a lot of "cool unreleased material" but I sure hope it is what I think it may be (Love & Mercy score). Probably just getting my hopes up unnecessarily though. A fellow can dream can't he? With 90 and 91% approval ratings on Rotten Tomatoes, it's obviously popular with both critics and audiences. But I wonder if it's been shown in enough theaters to get the audience it deserves (supposedly 440 theaters in the US right now). Is $10.5 million of ticket sales better or worse than expected at this point? I'll be right there to get L&M and a few copies more for some seasonal gifts. It was grand but oh so tough to digest. You come off the roller coaster and say enough for today. I almost stayed the first night twice back-to-back but was emotionally wiped out. The film does this to you. The scene you reference above "could be from" the Murry listening to God Only Knows. I don't remember what he was wearing but after NOT getting Murry's approval this would be the gesture one would make. Check out the Atticus Ross thread that I started the weekend the film came out. I put in all of the interviews that I could find. A heavy duty guy he is and a Trent Reznor comrade. I just might go digging for more now. Nine times! Well done. I want to curl up and hide during the hamburger scene. Larry, it's kind of an arty film after all but with all kinds of twists and turns beginning with the interspersed Brian's and how this changes up at the RIGHT moment. Should be out this fall on dvd after it has all of it's runs. hi Al -- I kind of expected our art theater to show the movie after it left the multiplex theaters (it's still in a few of those around here). There's so much that's artistic about this movie. In addition to the sound and the look of it, I thought the transitions between the two Brian's were really well-done. They always seemed to occur at the right time. So I strongly disagree with the person who wrote the Rotten Tomatoes summary, who says the movie is "unwieldy". To me it seemed to flow very naturally. Larry, I don't know if it's impressive or a little crazy. My wife has suggested the latter. At any rate, I feel like I waited nearly 4 calendar years (since 2011) for this while it was in development all the way up to June 5th. And as I understand it, the development of this particular project started even a few years before that, perhaps as far back as 2008. I'm 39 and in my late teens and early twenties my dream was to be a filmmaker. My dad had been a fairly successful studio photographer but died when was young. So, it was a silly pipe dream that young people daydream about, but that was mine. 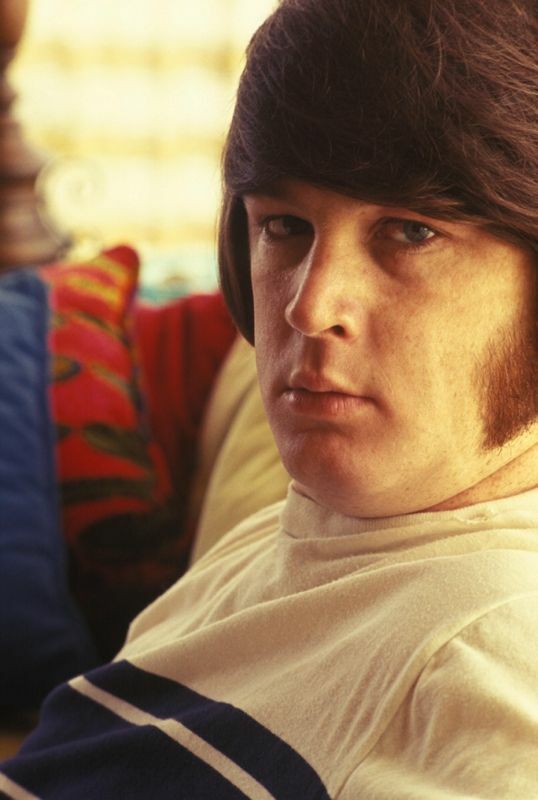 One of the stories I would have loved to tell is the Brian Wilson story. So, seeing this movie I'm like "I wish I could put my name on it" that's how much I think of the film. That's maybe the highest praise I could give it. Probably sounds silly to admit that but after all this is just a message board. I feel badly for those in the states and abroad that have been unable to see the film. I'm fortunate to live in a fairly sizable city in Ohio and had multiple venues to visit. Luckily even after this week when film winds down at the bigger theaters (AMC, specifically) the film will apparently continue to play multiple times a day at the local arthouse theater. On some level, LOVE & MERCY has been a financial success. I'm sure the production company would have preferred in excess of $20 million as opposed to where it currently sits at about $10.5 million, as you mentioned. It still steadily is making 100-200k per day despite only being in 400+ theaters now. I could be wrong, but I believe Lions Gate paid $3 million for the North American distribution rights. I can't imagine the film cost more than what...$2 to $4 million? There will be a lucrative market on iTunes and Amazon for sales and rentals. And then exposure through Netflix (or similar) later, surely. What makes me most happy is that now there is a document for those that lived through the era to reflect on, those that are the children of that era (me) to marvel at it and future generations to easily discover and then start their own path of peeling the onion that is this wonderful and occasionally harrowing story and musical legacy. Al - your sure right it's emotionally draining. That first day I actually did what you mentioned, saw it twice in a row. I was so buzzed I couldn't leave the theater and feel completely satisfied. I immediately needed to see it again. I agree though, it's at times like a very intense fever dream where you wake up completely unrested. I say that in the best possible way. I'm almost positive the "God Only Knows" scene takes place at Murry's house and that Paul Dano is wearing a brown shirt during that scene. And the still in that post I believe is at Brian's house, in the sandbox. It immediately brings to mind this Guy Webster image. I'll check out your thread. Thanks for the head's up. Completely amazing as if Bill Pohlad raided Brian's closet. It's pretty much the same shirt. They worked out the details of this sooooo very well, where there was existing documentation so that those on the trail of this can look and find the pieces of this movie - where it all came from. They tried to be accurate in many ways. Brian has that ability to look right through people and things as one can see evidence of in this photo. Powerful! You could be right about what is where. I'm still processing it holistically and not in great detail. Was he trying out Good Vibrations on the piano here? I guess that most good things take time, JCM. Atticus Ross rocks in this movie. So, seeing this movie I'm like "I wish I could put my name on it" that's how much I think of the film. That's maybe the highest praise I could give it. Probably sounds silly to admit that but after all this is just a message board. It doesn't sound silly to me. I bet everyone involved is proud to have their names on it. But remember, this is not just any message board! Breakdown the visual effects created for the film by the company The Molecule. All very subtle but still cool. My favorite is the "ear". Someone on the Smiley Smile board mentioned a very positive review in Sight & Sound, this isn't the film review but a web exclusive interview with Bill Pohlad. Also some other on-set photos I haven't seen anywhere else. Hey, THERE'S the Dennis character looking like Dennis!! I've talked about this a bit in my various observations about L&M but I would like to get other peoples interpretations. There are two shots of 'Brian Present' (1970s) in bed. Both shots last no longer than 4-5 seconds each. What is your take on those two momentary interludes? What do they mean? How do you interpret them? The still in the sandbox I don't think could be from the Good Vibrations scenes in the movie — in both of those, the tent is present in the background, and in this one, you can see Marilyn (?) sitting in a chair in the background, out of focus. I think I figured out where the first still comes into play. Brian at the piano in the sandbox with that shirt on. During the 2001 montage-homage late in the film, one of the flashbacks is an out of focus split second shot of that very set-up. Many of the other flashbacks used in that flashback sequence were at least, in part, from specific parts of the film. That one is not though. I wonder if there's a deleted scene that we'll see on the Blu-ray that has that specific scene. I guess we'll find out! There's worst things than staring at Elizabeth Banks for 13 minutes.